This macaque is part of the SPF Indian-origin rhesus macaque colony dedicated to supporting the national AIDS-related research effort at the Texas Biomedical Research Institute. SPF stands for specific pathogen free, meaning the animals do not have other known pathogens that could interfere with the study of HIV/AIDS. This monkey is enjoying his orange slice, which is part of his routine nutritional enrichment provisions. 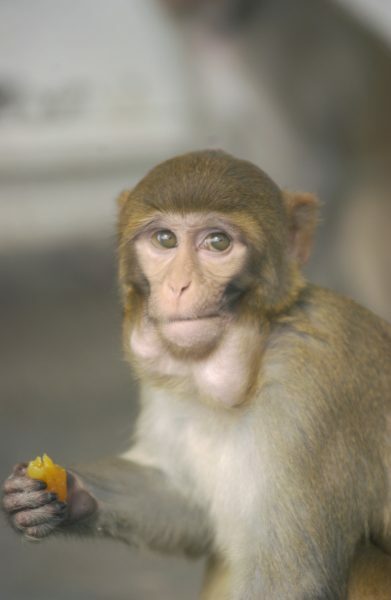 Macaques enjoy fruit, vegetables, nuts and grains as part of their nutritionally complete diet.